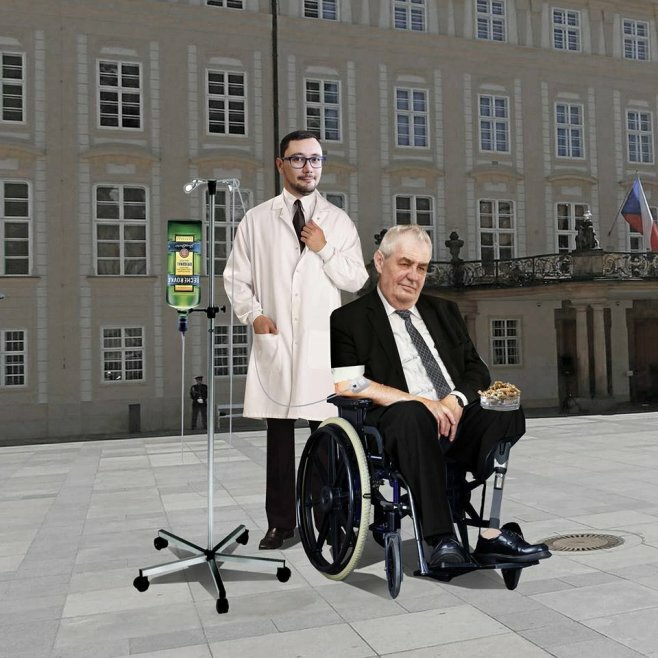 Prague – President Milos Zeman has submitted an oral cavity treatment this week at Na Homolce Hospital in Prague . “It was a small surgical procedure,” said the source from the medical environment. Zeman is now in Lany Castle where he is resting. “We can not communicate information to our patients, whether it be the president or anyone else, and you have to turn to the president’s office,” hospital spokeswoman Martina Dostalova answered. The president’s doctor, Miloslav Kalaš from the same hospital, did not want to comment on the procedure first, with the fact that he is driving and has no time. Later, he told the editor that he was with the President in Lany and referred to the speaker. “I am the president’s doctor and we communicate with each other,” he said without further clarification. Castle spokesperson Jiří Ovčáček did not want to comment on the move, with the editorial staff watching TV Barrandov, where the president has his regular schedule. Only after the issue of the article has the editor confirmed the information on his Twitter account. “Small inflammation in the oral cavity, nothing serious,” he wrote without further details. Even in the evening TV Barrandov confirmed the president, who said it was a small abscess. “Two days ago, I cut the inside of my face, it still hurts a little, and I’m not as focused on your questions as ever,” he told the moderator. Zeman has changed the program this week, when he announced he would not accept the resignation of Andrei Babis (ANO) government this week as originally announced, but only next Wednesday. The spokesman, Ovčáček, explained that Zeman would be preparing for a television debate with his opponent, Jiří Drahoš. Last week at a press conference, a medical counselor said that he was a good physical and mental health president and feels good. President’s health is paying attention in the long run.